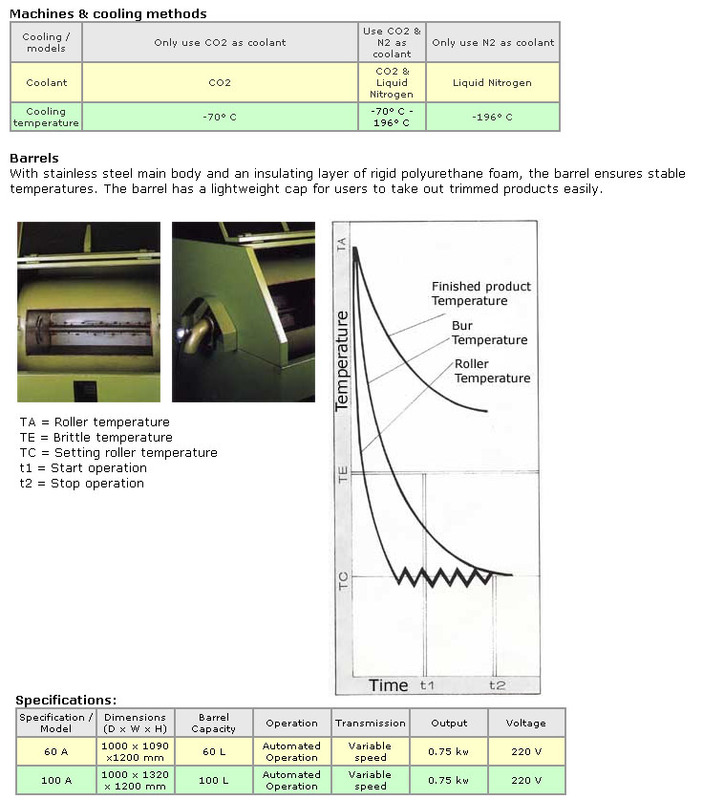 This deburring model uses the cooling effect of liquid nitrogen and rubber brittleness to debur rubber products. Before operating the deburring machine, users have to mix rubber items with steel pellets, put the mixture into the multangular-shaped barrel, and pour the liquid nitrogen into the barrel to cool down the mixture. Once in contact with liquid nitrogen, the edge of rubber items will become hard and brittle, allowing them to be deburred right away via friction with steel pellets in the rotating barrel. Liquid nitrogen is a deodorized, nontoxic, safe, and noncombustible gas. The deburring machine is easy to operate with an automatic temperature adjustment device and automated transmission device. With the aid of this deburring machine, users can debur a number of rubber items in a short period of time, which reduces production cost and increases production efficiency.